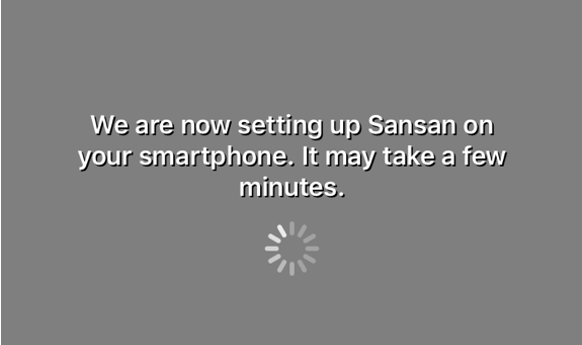 You can limit access to Sansan for the Smartphone application. You can also set the amount of time to hold the log-in status in Sansan for the Smartphone application. 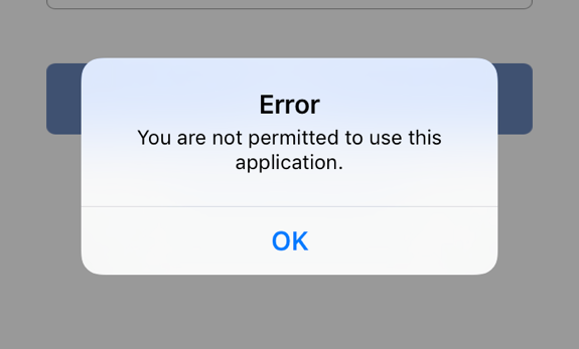 To use this function, system administrator level permission is required. 1. 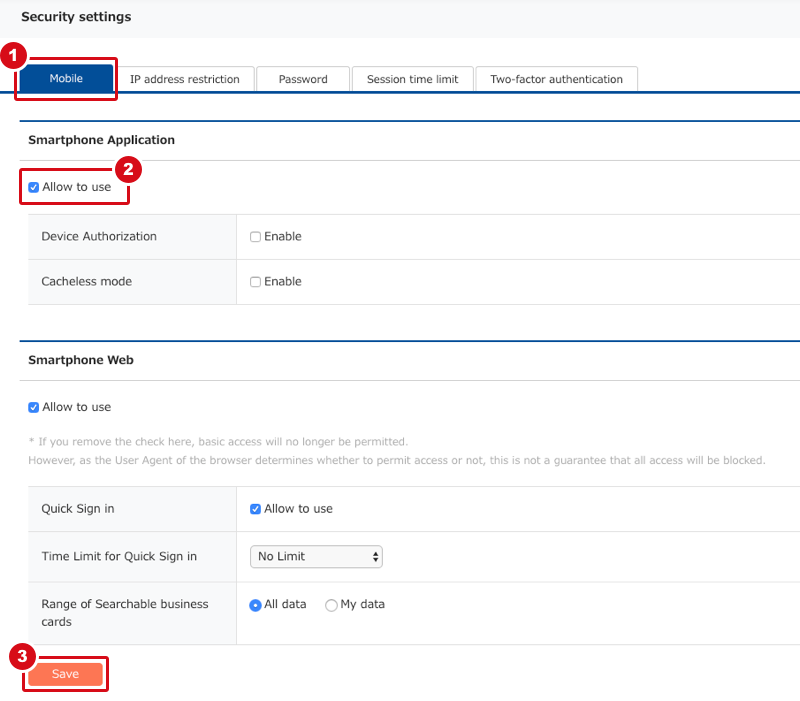 Click on "Admin Settings", "Others", "Security Settings", then click on the tab marked "Mobile". 2. Put a check in "Allow to use" of "Service Usage", and then click the "Save" button. * Please set the amount of time to maintain the log-in status if you deem it to be necessary.